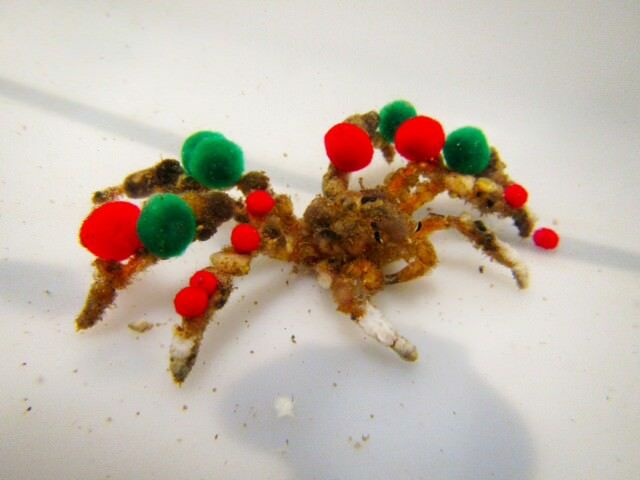 In an experiment that appears to be designed for Instagram, scientists have given some decorator crabs Christmas-coloured pom poms to investigate what drives their decorating behaviour. Spider crab decorated itself with red and green pom poms. There are around 900 species of decorator crabs, named for their penchant to cover themselves in adornments. 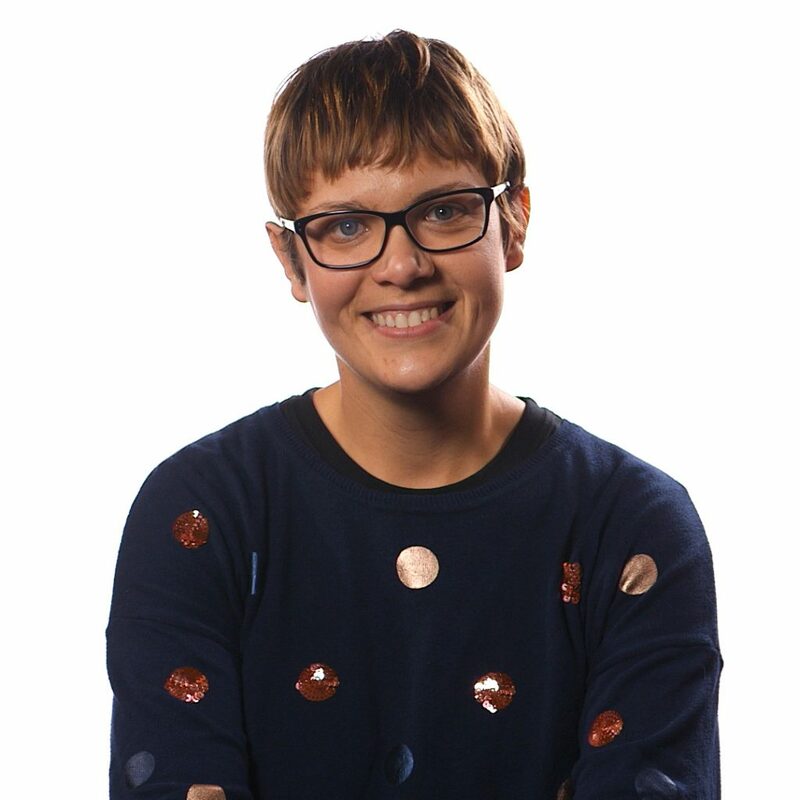 Some species will grab whatever seems to be available, while some will decorate themselves with particularly nasty smelling or horrible tasting items as a form of chemical camouflage, for example toxic seaweed or poisonous anemones. Why decorate? There are a range of theories as to why the crabs make the effort. Hiding from or deterring predators seems to be the most likely reason, but decorations are also thought to play a role in storing food, attracting prey or in communication. This study, by Danielle Dixson and a team of undergraduate students as the University of Delaware, set out to find out if having somewhere to hide affected how much or how quickly spider decorator crabs decorated themselves, and which parts of their bodies they decorated first. The crabs were placed into containers with red and green craft pom poms of various sizes, which stick easily to the crabs Velcro-like structures on their shell surface. Crabs wasted no time in getting busy decorating, with most crabs decorated within six hours, and all fully decorated by the end of 24 hours. The crabs in containers with no shelter decorated most quickly and with greater number of pom poms overall, indicating that in this species it seems to be an important strategy to hide themselves to avoid being eaten. The crabs with somewhere to hide decorated their legs first, which is contrary to what’s been seen in other species, which usually decorate their vital organs first. They preferentially stuck the bigger pom poms on their strongest back legs, saving the smallest pom poms for their backs. The researchers think this is because their back legs are most likely to stick out when they’re hiding, so need more decorating, and keeping large decorations off their back keeps them small enough to be able to squeeze into more hiding spots. Next up the researchers want to find out whether the crabs can actually see and choose items based on colour, or whether they’re picking based on smell.